Most people convince themselves that success is hard to attain. That couldn’t be the furthest thing from the truth. Success is very simple once you understand the laws that govern success. This week we study the Success Laws as created by Brian Tracy. The easiest and sures path to success is to follow these laws. Great At any Age…. 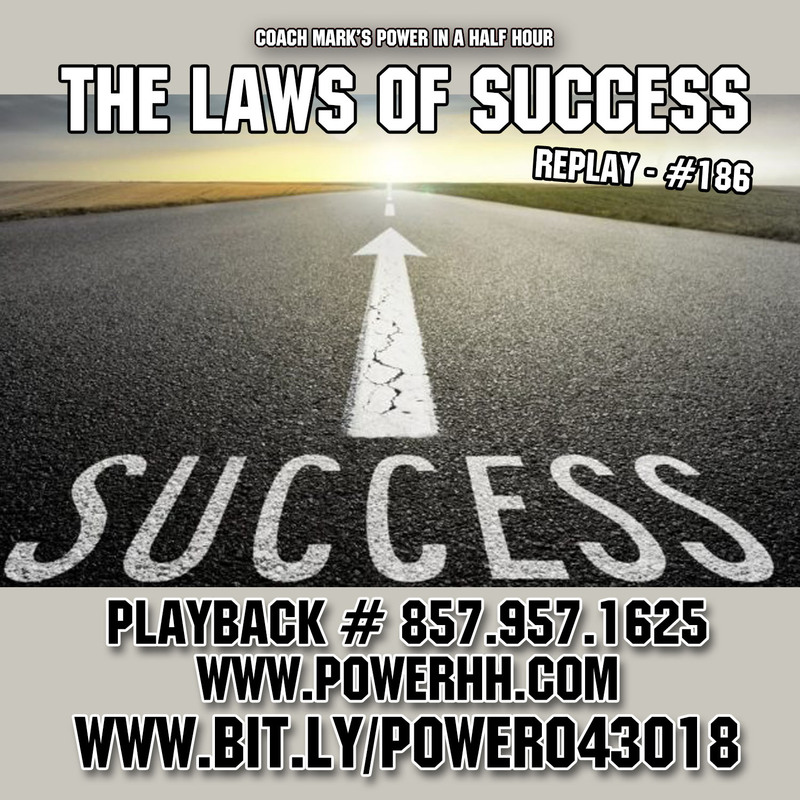 Episode 185 of Coach Mark’s Power In A Half Hour!!! 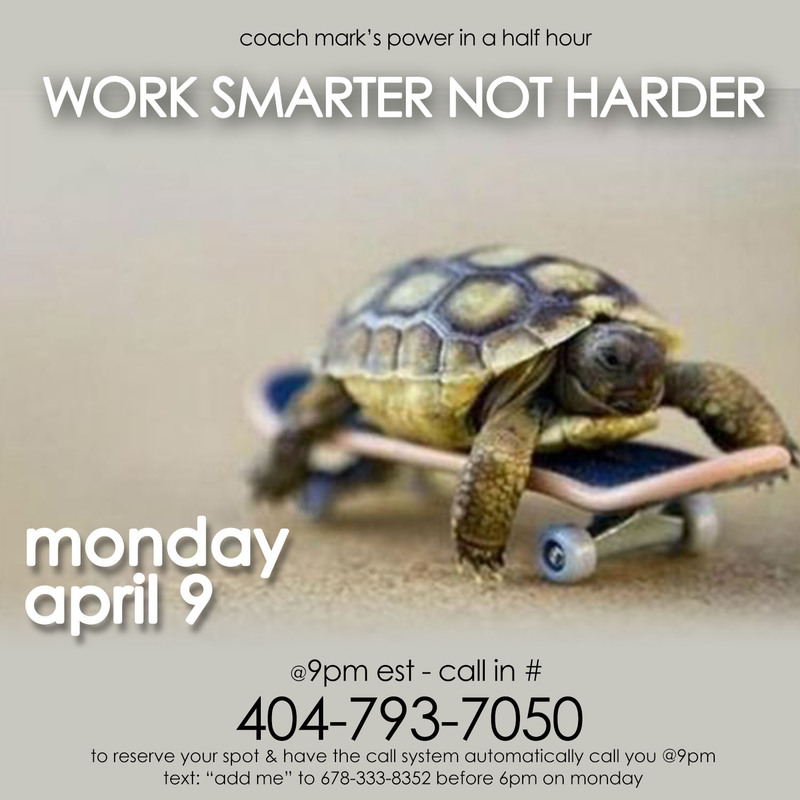 This is a free call with Coach Mark sharing the Success Secrets of the Rich & Super Successful. Just because you get older doesn’t mean you have to give up on your dreams. As a matter of fact, the older you get, the better you should get as well. You can take all of your experiences, and lessons to help you soar. 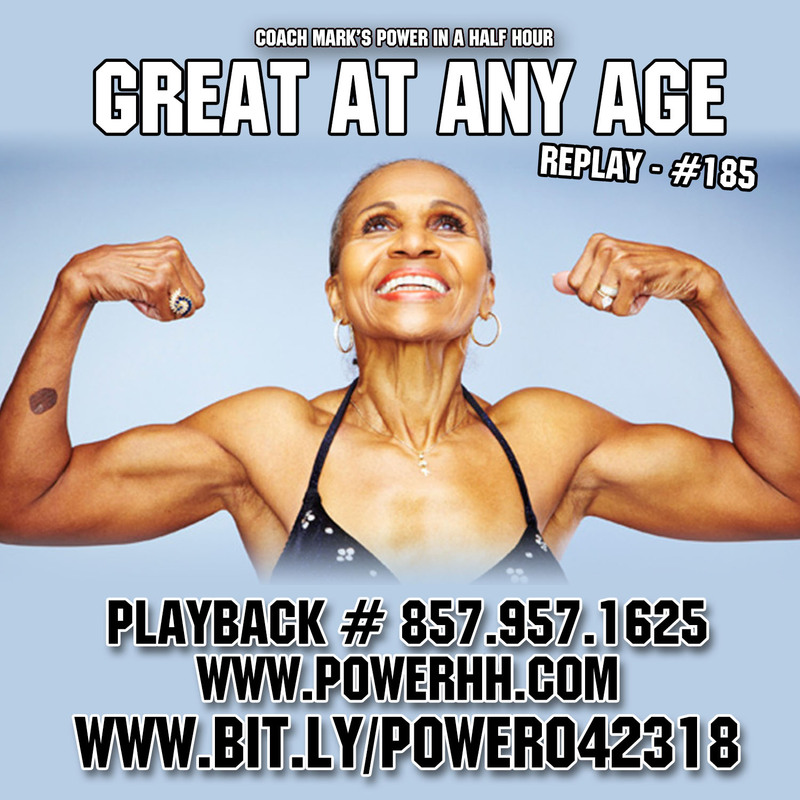 This week we will look at how we can be greater at any age. In order to grow up, we may have to give up. Not on what we are doing, but the toxic people that are preventing us from growing. 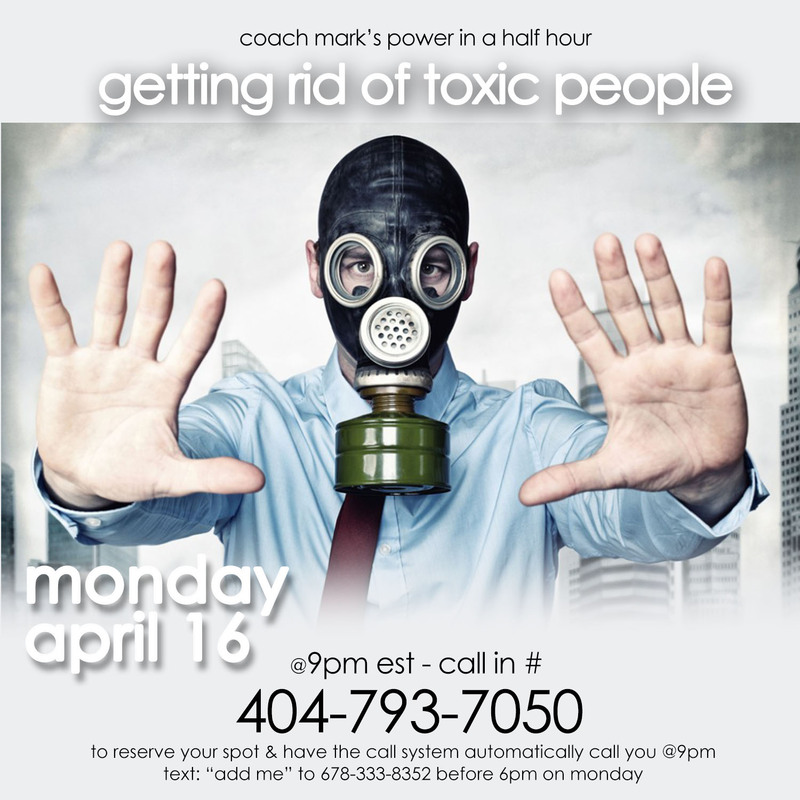 This week we will look at some of the toxic people that we need to let go of, and why we need to get them out of our lives, and the best way to do it. We all have only 24 hours a day, yet some of us are able to get so much more done than others. Time is our most valuable resource, yet its the resource we use the worst. This week we will look at some strategies that help us to take full advantage of our time and work smarter, not harder. There are many components essential to success but by far, this most important is belief in yourself. 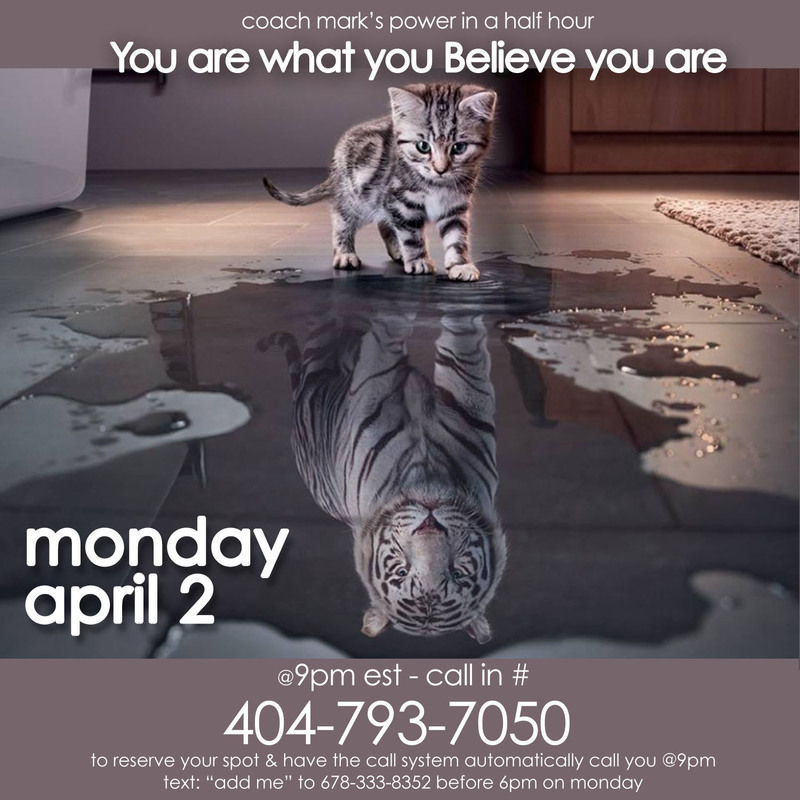 This week we will look at why believing in yourself is very important and a few techniques on how we can increase this belief.